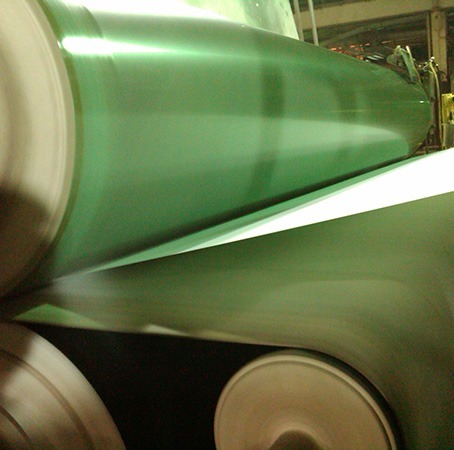 Sheet release from press rolls is vital to ensuring press section runnability and sheet integrity leaving the press. DuBois has a wide range of products designed to improve sheet release. The DuBois approach to roll release involves a holistic approach to ensuring press roll performance. DuBois application experts perform an audit of the complete press section before recommending any treatment program. Our NEXUS® line of products can improve deposition resistance, remove existing deposits and maintain surface roll cleanliness to ensure ideal sheet release. Excellent performance and compatibility with all roll surface covers including ceramic, polyurethane, and composite covers. Decreases draw and decreases work of adhesion, improving tail threading.